I was reviewing my recent posts and I realised that I promised a post on vocabulary teaching strategies, which I have not yet delivered. Therefore, I will deliver it now. Most of the strategies I mention here are from quite a bit of Pinterest browsing and Google searching. Original sources are recognised when possible. I also used Vocabulary Strategies that Work, Do this-Not that! by Lori G. Wilfong (2013) for background information and strategy suggestions. I have mentioned Wilfong’s text before and I could rave about it for quite a while, but I won’t. Wilfong’s text is certainly worth the purchase price and is an investment that will benefit teachers and students. Teachers need to understand what VOCABULARY means. Some teachers call it Word Study, while others call it Vocabulary or Word Level Knowledge or something cute and groovy. When teachers hear the word “Vocabulary” we all have a different mental picture which is why it needs to be clear. Vocabulary is an understanding of words and what they mean. When we plan vocabulary activities for our students/ classes we need to ensure that the focus is meaning and building an understanding of meaning. It is also important to help students understand the various contexts in which a word may be used and what the word means in each context. Most of these strategies are supposed to be completed in 15 minutes. Some might need a bit more time than that. I especially like the word splash strategy, vocabulary cartoons and graffiti vocabulary wall. Most of these activities are great for homework tasks and revision of words learned in class. Completed definitions that students have created would make wonderful classroom displays. This is a game that students can play to revise vocabulary words. Each number on the dice is assigned a task. 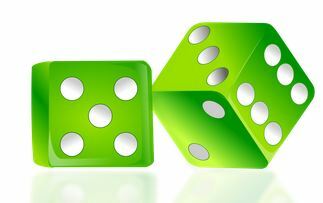 The student rolls the die and completes the task according to the number it lands on. For example; if I roll a 2, the task is to write an everyday definition, so I copy the word into my word study book and write a definition in my own words. Other numbers are assigned tasks such as; act it out, draw it, write in a meaningful sentence. Visuwords is an online graphical dictionary that displays results as a graphic organiser. The source word (search term) appears in the middle of the web and then different coloured lines join the word with other derivations, meanings in various contexts and related words. If you tend to draw concept maps or web type organisers when you are recording ideas of note taking this site will be useful for you. It might also help if you need to connect two contexts or meanings of a word. Dictionary.com is another online dictionary which provides pronunciation of words, derivation, parts of speech and definitions according to context. Contextual sentences are usually included with definitions. Merriam-Webster’s Visual Dicitonary is also online and provides photographs or drawings to illustrate noun definitions. The words are sorted in subject area categories such as science, society and sport. It doesn’t have everything, but some images are useful for accompanying truncated definitions. This site allows you to create a “wall” of digital sticky notes. You can name the wall according to class or even task. Walls can be created for use during a 24 hour period without need for subscription. If you want to create a more permanent wall with administrative capabilities (you can control what students can add or not) then a free membership is required. I tested this by naming a wall with one of my class timetable codes and placing a list of the vocabulary words for the unit. Students then created a sticky note on the wall including the word they had chosen and a truncated definition. Some students were able to upload diagrams and other supporting images along with their sticky note. This is useful at the beginning or the end of a unit. Students could use various search engines to find definitions for unfamiliar words on the list and teachers can use student responses to inform future vocabulary teaching. There are other similar sites and some education departments/ schools provide their own virtual classroom/ learning platforms that teachers can utilise in this way. The link above will take you to a document explaining the Frayer Model and how to use it in a Mathematics classroom. There are examples of the original Frayer Model and activities for using them. The Frayer Model is essentially a concept map and many teachers have adapted the basic structure to suit the purposes of instruction. Another common adaptation is the “Vocabulary Window” which has less spaces to fill in but is just as useful in assisting students to construct meaning. It is important to remember that the Frayer Model is used to connect the word to student understanding and provide a frame for constructing meaning of the word. Students should not be asked to complete 10 Frayer Models at once, but just one at a time. There are hundreds of vocabulary worksheets and teaching ideas available on the internet and in literacy teaching texts. 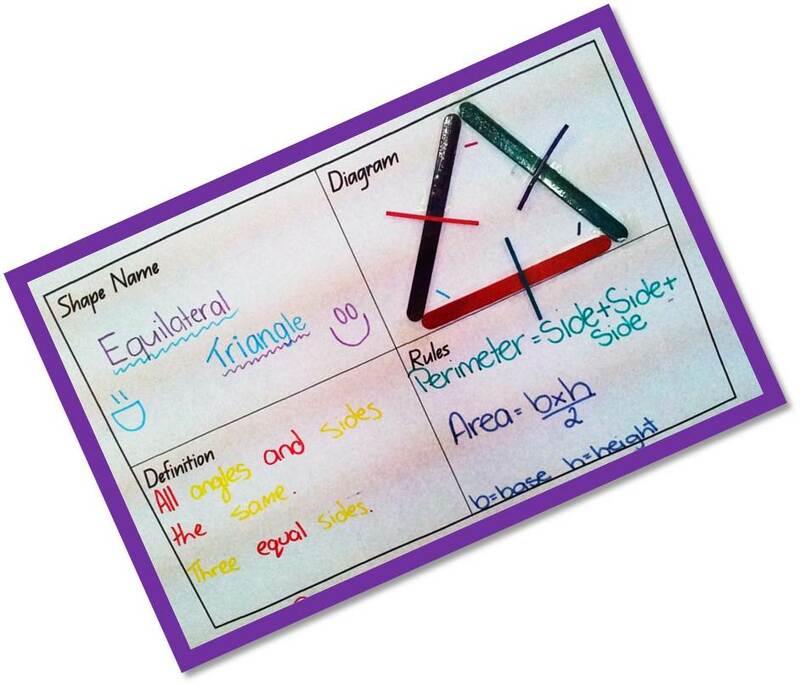 Some teachers use “fold-ables” for students to record vocabulary and use for revision. Some teachers will always rely on ‘old favourites’ to teach vocabulary. When viewing resources, activity ideas, black line masters, or templates, teachers should be mindful of their purpose. Consider the focus of the vocabulary lesson and whether or not the resource/ activity will assist you and your students keep that focus and reach the ultimate goal of the lesson. Remember that VOCABULARY is construction or understanding of words and their meanings in relevant contexts. My last post described my disappointment in my colleagues. The poor attitude of some in attendance at Professional Development workshops had me doubting the professionalism in my profession. On Friday, I attended a “cluster” workshop presented by Mark Davidson. Three schools in our area (two primary schools and the high school) met to hear this guy tell us about the Essential Skills of Classroom Management (ESCM). He was credible (with approximately 30 years of teaching experience in Prep to 12 and approximately 15 years of that time also spent developing this framework), entertaining (role playing student and teacher behaviour), honest and his presentation was informative. While we sat and listened for more than an hour, we all felt like it was the most practical professional development we attended in a long time. My teaching partner (one of them) and I spent most of the time laughing and nodding at his stories. I could easily relate to every situation that was described. Although we sat in very different sections of the hall, we both mentally ‘checked off’ each of the strategies as something that we already do when managing our classroom. For us it was nice to know that we were on track. For many it was nice to hear from an experienced and successful teacher about classroom management. If you are a teacher you don’t have to be told that classroom management is one of the biggest things that teachers need to get right. I would wager that most parents know this too. Parents know that their child is happiest and most successful in class when their teacher has clear and consistent expectations. I found it interesting that, on the whole, both primary and secondary teachers (and support staff) were engaged throughout the entire workshop. All but one teacher who I spoke to after the session had positive things to say about the experience. The one person who expressed distaste attributed it to a single political statement that the presenter made within the first ten minutes of the session. He did not “listen” to anything that was said after it. However, he was respectful enough to sit silently and “take notes” for the remainder of the session. All of this made me wonder… what is it that ensure engagement during a PD session? relevance to the teachers personal context? real ‘life’ application of the material? the promise of a good feed at the end? I think the answer might be in the right combination of all the above suggestions. Getting butts in seats is not at question here, I don’t wonder how to get butts in seats. The question is, how do we engage when the student is forced to attend? Don’t we (as teachers) already have a “captive” audience? Our students have little choice about their attendance. They have to be there, but they don’t have to learn. Adults can (or at least should) be at least quiet and respectful when they are forced to attend something. However, it is well known, that teachers are the worst audiences. It is almost as if they are destined to repeat the same irritating behaviours of their students. It truly astounds me. Just as the opposite behaviour astounded me on Friday. I know this post has meandered a bit, but I will get back to the point. The theory and practice of ESCM is sound and worth further investigation of teachers who want to be good classroom managers. Professional Development can be practical, well received and have a positive impact on teaching practice. If you want to make a difference when providing professional development, you need to learn from the best. So, even if the content is not useful, watching how the presenter presents will be an educational experience in itself. I have officially returned to work. It is the end of day two and I am exhausted. This is probably related to the cold that has developed into a terrible cough. I think it is also, in part, a result of working too hard too fast. Let me explain this comment AND my post title. Working too hard too fast: On day two (no students have arrived yet) and my classroom is already a mess because I have been pulled from one meeting to another and in between those I am trying to: find items that were lost in my classroom move, respond to many questions from my colleagues, prepare professional development resources and review routines and procedures. The meetings vary between faculty level, all staff, learning support staff and key teams. It is very easy for any staff member to feel overwhelmed at this time of year. I feel a little more overwhelmed by the professional development that I presented yesterday. While it could be argued that my facilitating work is done for the time being, I am feeling the after effects of the battering that occurred during my presentation. When I say “battering” I refer to the teachers who behaved unprofessionally and caused more stress for me as a presenter. I felt somewhat better when I saw that several other presenters were treated similarly, however this concerned me too. I work with some wonderful teachers and support staff I have met and read about some wonderful teachers on the internet as well. 🙂 It concerns me that teachers (who claim to be passionate about teaching and learning) feel the need to argue with their colleagues about strategies or directives that have come from higher up the chain of command. It also concerns me that some teachers don’t take professional development seriously. Teachers who sit in a professional development session, workshop or staff meeting and carry on a conversation with the person beside them or work on their laptop instead of paying attention are hypocritical. They would never accept the same behaviour from their students. It concerns me that there are teachers who do not show the same respect for their colleagues that they expect their students to show towards them. If you are a teacher, or a coach or a pre-service teacher, here is an important tip. Respect EVERYONE, in EVERY situation. If you have something important to say and you want people to listen, you need to have the credibility of a person who always listens (or at the very least does not disrupt the session). It isn’t difficult to do. Really it isn’t. I could go into all the little things that you could do to make life easier for people and become an effect coach who people want to work with. However, being respectful of both yourself and everyone around you is at the core of all those little things. Here is another way to look at it. If you expect your students to listen when someone is speaking to them, you should listen when someone is speaking to you. If you expect your students to say please and thank you, then you should too. Do not expect anything of your students (in terms of behaviour) that you are not prepared to do yourself. Put another way… Set an example. My next post will be packed with resources for teaching vocabulary and setting up appropriate discourse in your classroom (regardless of the grade level or teaching subject). So please come again. The Literacy Coach is expected to be the point person for literacy resources in their school. Some teachers can not believe how much “stuff” I have and they don’t realise how much of it is essential to my job. When a teacher has a question or is looking for an activity I can usually turn to my shelves and pull something out to help them. If I can’t it doesn’t take me long to find something. It is a good thing that I like to read. The burden of being the designated expert on resources is the need to read… constantly. I won’t go into the length and breadth of the different texts that I am expected to know about (not today). I will say that with all this reading, it is nice to find something that reinforces your philosophy and teaching practice. Recently, that is exactly what I found. 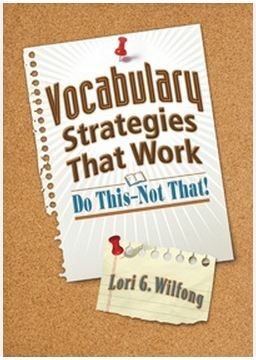 Vocabulary Strategies That Work by Lori Wilfong is an excellent reference for Literacy Coaches and teachers of all subject areas. I know why using a word wall is important, but I probably couldn’t put it so succinctly as Wilfong does in this book. She has a simple approach to explain to teachers the best way to teach vocabulary and she uses real world examples to back it up. Wilfong explains the actions and pedagogy of vocabulary instruction using a “do this…not that” structure. Her publisher Eye on Education, took the liberty of producing an infographic of the Do’s and Do Not’s of Effective Vocabulary Instruction. While the infographic gives you the main principles, the book gives you so much more. I purchased the e-book version yesterday and I’m almost finished reading it. While I might have a slightly more motivated perspective (I have to present PD next week on this very topic) my speed is more likely related to the readability of the text. In 7 chapters I have been reminded of sound education/pedagogy theories and appropriate vocabulary activities. I can link my learning from this text to pedagogical frameworks used at my school such as Dimensions of Learning. I have also found new activities, graphic organisers, templates, planning processes and action statements for my future instruction. I am armed with specific information and activities for my own teaching and I am ready to support (as the Literacy Coach) any teacher who may need it. The straightforward layout and language make this a text I will return to again and again. I am also loving the e-book format as I can highlight and add notes to the side very easily (all from my ultrabook, without printing a thing). I also like the idea that I can print one page (or selected pages) to share with my colleagues without having to visit the photocopy room. Purchasing the book Vocabulary Strategies That Work, was a great investment for me and I will be encouraging our school to purchase a few more copies for our teacher reference section of the library. This is a great resource. Let’s begin by telling you why we are all here. This blog has been bouncing around in the back of my brain for a while now and it is time to get it out. I have been the literacy coach at a secondary school for the past 3 years. Although, it wasn’t always called that. I was incredibly lucky to be considered an expert when I started at the school. While I knew a great deal more than some, I knew very little 4 years ago compared to what I know now. I hope that in 4 years time I can say that I know even more. The purpose of this blog is to share my past experiences in building the Literacy Coach Role in my school while sharing the knowledge that I have. I also want to share my learning journey with you. Everyday, I learn something new. On some days I learn something huge and literacy related (like: reading is not just about words). Sometimes I learn things that are coaching related (like: listen carefully), and sometimes I discover small and silly things (none of which I can remember to give you an example of). I hope you come along for the ride and I hope we can learn together on the way. Please forgive me while I get used to this new platform and build a more useful tool for both myself and my readers.